The Riviera Maya is a beautiful stretch of coastline with white sand beaches and turquoise blue water. This area, located just to the south of Cancun, is generally blessed with perfect beach weather: hot, sunny days and balmy nights. However, during the wintertime, temperatures can dip to the chilly side, and summertime brings some rain and chance of hurricanes. 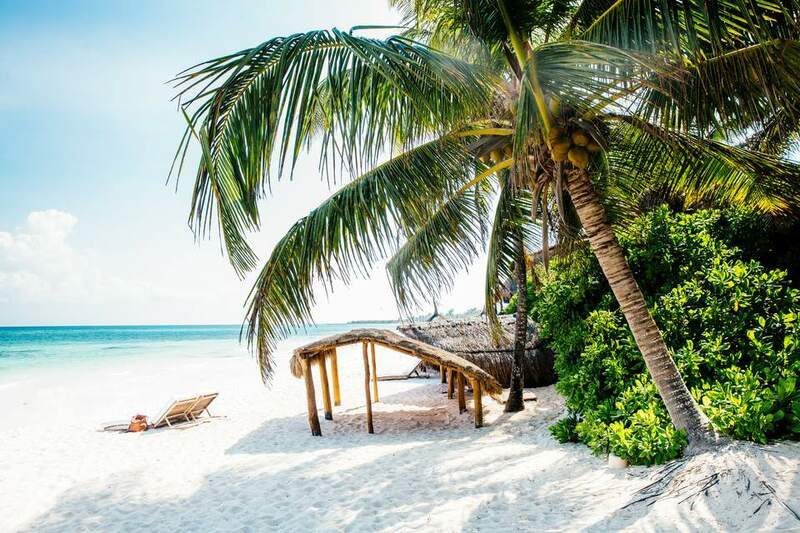 Here's what you should know about temperature and climate changes in the Riviera Maya from month to month, to help you plan the timing of your trip and what to take with you. Rainy season in the Riviera Maya lasts from June to October, and hurricane season falls during the same time of year. Although your chances of having your trip ruined by a hurricane are low, if you are caught in one, it can completely spoil your vacation. Statistically, there is a greater chance of hurricanes forming in August and October. If you’ll be traveling during the hurricane season, it's a good idea to purchase travel insurance (and make sure that you'll be reimbursed if you have to cancel your trip because of weather conditions). Hurricanes don't strike by surprise: meteorologists forecast the development of tropical storms and predict their growth and trajectory path. If you keep an eye on weather reports ahead of your trip, you'll have advance warning and be able to adjust your plans if necessary. Springtime in the Riviera Maya is usually hot and sunny with some showers towards the end of the season. This is a good time to travel, but you'll want to keep the dates of Easter in mind (the week before and the week after Easter are popular travel times for Mexican tourists) as well as spring break —depending on whether or not you'd like to party hard with college students. If you'd prefer a quieter vacation, it is possible to avoid the spring break crowds. What to Pack: Bring warm weather clothes such as shorts and tank tops or t-shirts, beachwear, and something dressier for going out at night. Pack a light sweater or shawl for when you go from the heat outdoors into spaces with air conditioning. Don't forget the sunscreen! Summertime in the Riviera Maya is rainy season, and also the months with the greatest chance for hurricanes. Don't worry too much if the weather forecast predicts rain throughout your stay, though. Unless there's a tropical storm, the rain is just a short interruption and the sun comes out again soon enough. In the meantime, there are lots of rainy day activities to choose from. The summer tends to be less crowded than the other seasons, so it can still be a good time to visit. This is the best time of year for swimming with whale sharks, so that's an added bonus, besides the fact that you'll find lots of good deals since fewer people travel this time of year. What to Pack:​ Be sure to pack an umbrella or rain jacket as well as the usual warm weather clothes and beach wear. Unfortunately, rainy season can also mean mosquito season, so pack some insect repellant as well. The fall months are lovely in the Riviera Maya: it's less humid with clearer skies, and the weather is a bit milder than summertime, but still warm enough to enjoy swimming in the beaches, pools and cenotes. If you travel during this season, you may have the opportunity to enjoy some important cultural celebrations such as Mexican Independence Day and Day of the Dead. What to Pack: Bring a light sweater as the temperature can get cooler in the evenings. This is peak travel season in the Riviera Maya, as many folks trade freezing temperatures and lack of sunlight for sunny days on the beach. Keep in mind that, although the weather is generally mild, there can be cold fronts that come through that will have you reaching for a sweater and warm socks. Even though it is warm in daytime, the temperature may drop in the evening. What to Pack: Be sure to add a sweater or jacket to your suitcase for chilly evenings. Daytime is still warm, so bring along your swimsuit and other beach necessities, and you'll still need that sunscreen, so don't leave it behind! With the Mesoamerican Barrier Reef right off the coast, many people travel to the Riviera Maya for diving and snorkeling. There's no bad time for diving in the Riviera Maya — except, obviously, during an active tropical storm. In that case, stay out of the water! Average ocean visibility is around 100 feet (30 m) year-round. The best conditions for underwater exploration are found in the months of December through May. August has the warmest water temperatures, but visibility can be impaired by rains. From August through November the water may be a bit less clear, but there are fewer people diving. No matter which season you go, you'll find generally excellent diving and snorkeling conditions.